Denim is known to be quite a versatile and stylish fabric. There are so many ways you can wear denim. 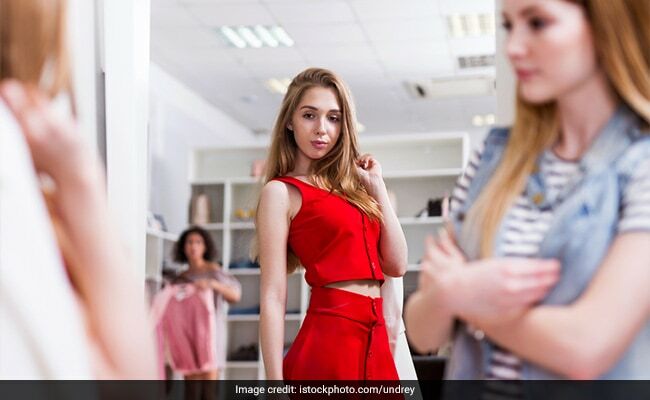 You can get dresses, coats, blazers, jackets, and so on. 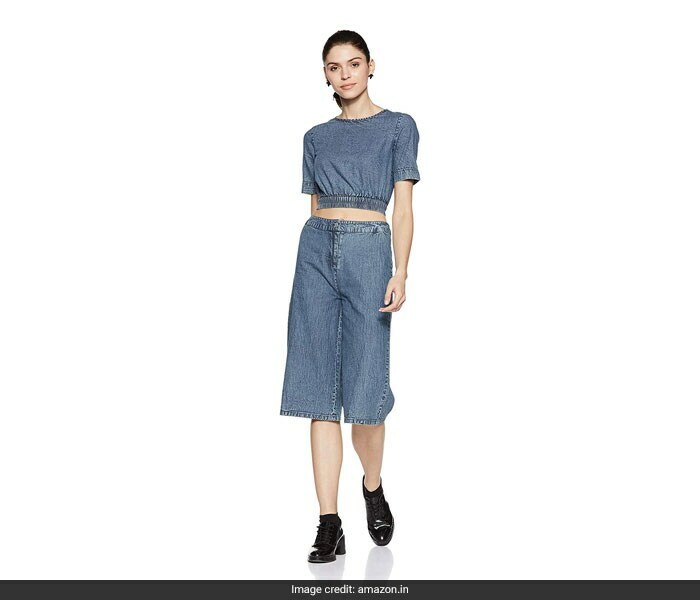 But have you considered getting denim co-ord sets? Not just denim, there are so many different kinds of co-ord sets available online that one can get. Here are some we have curated for you. Stock up for the summer! Speaking of denim co-ord sets, this C.Cozami stylish and chic denim co-ord set is a great set to get this summer. The set comes with blue denim pants and a denim shrug. Wear this with a white shirt. Priced at Rs 895, you can get this here. 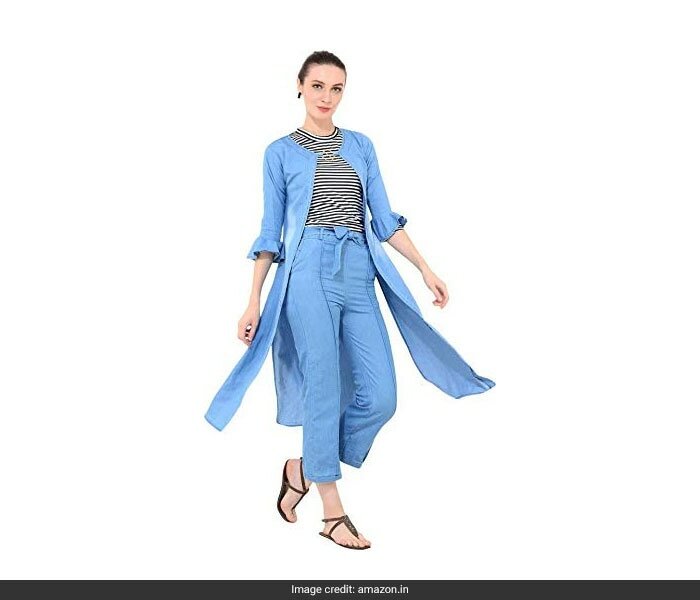 If you want something lighter, get this sky blue Kanzul set of denim A-line shrug and pants. This set will be a great addition to your summer wardrobe. You can wear this with a dark coloured cropped top. Priced at Rs 925, you can get this here. Another very chic co-ord set to get in denim is this Stalk Buy Love set. The cropped top paired with short pants will stand out in the crowd and look pretty stylish. Wear this for a casual day out. Priced at Rs 1,399, you can get this here. 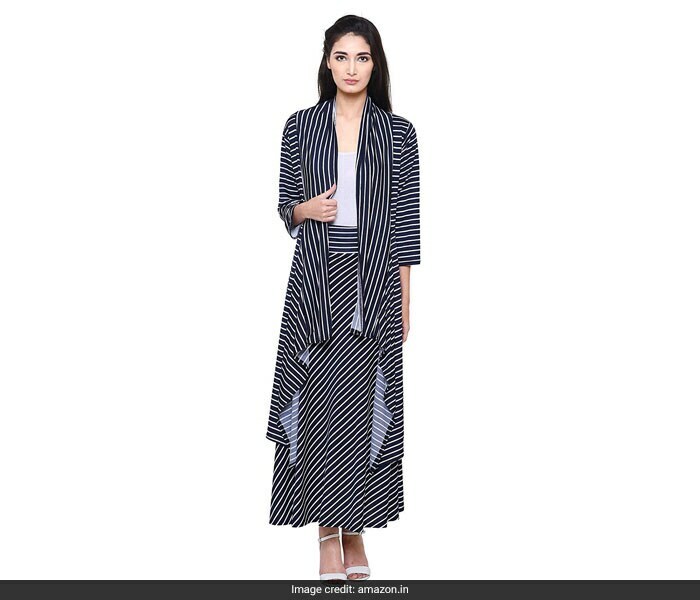 If you want to channel some stripes, get this DAMEN MODE striped shrug and skirt set. This will work as well as a casual outfit as much as it will as a party outfit. 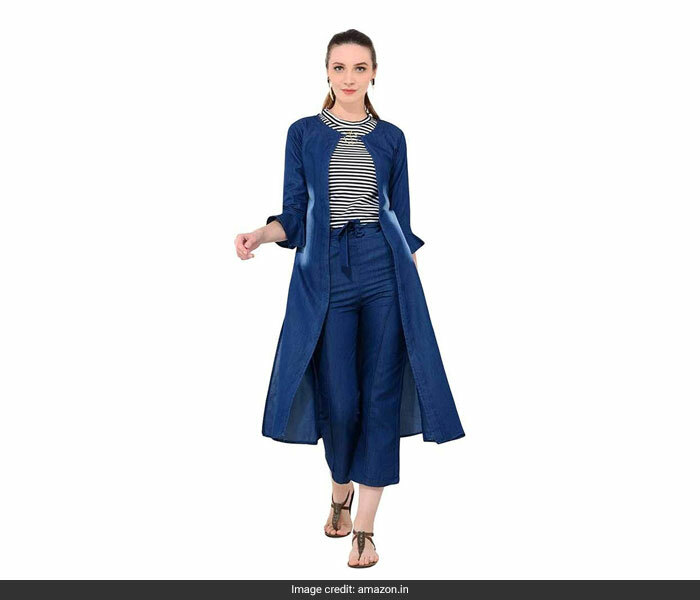 Priced at Rs 849, you can get this here. 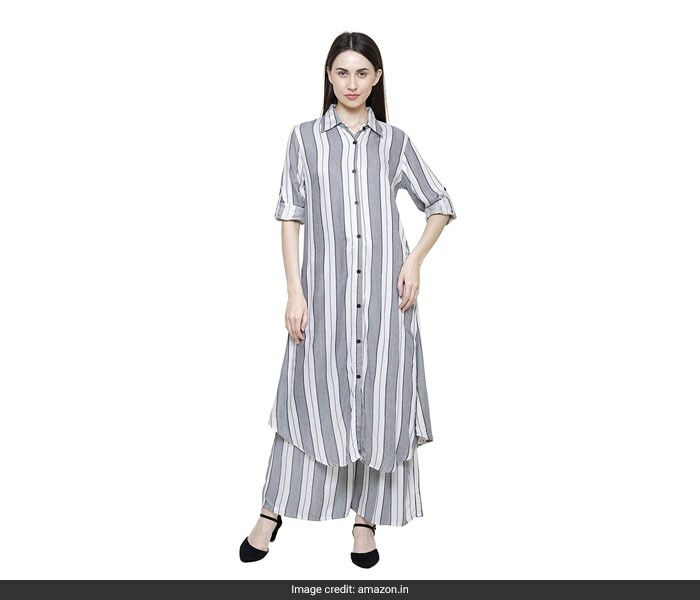 If you want something not as bold as the piece above, get this DAMEN MODE white & grey striped kurti & palazzos set. This will make for a great day outfit. Priced at Rs 995, you can get this here.